Make 2016 a year of enriching and engaging Bible study for your family and friends when you send them a gift subscription to Tabletalk magazine this Christmas. For a limited time, you can save almost 35% when giving more than one subscription. 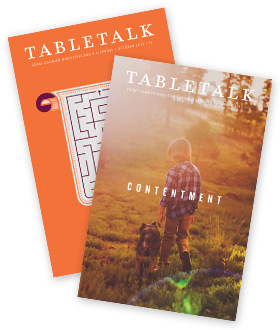 An annual Tabletalk gift subscription consists of 12 print issues delivered each month in the mail as well as free access to the corresponding digital edition. As a preview of the upcoming year, 2016 issues will feature articles examining topics like Islam, legalism, and addiction. The daily Bible studies will provide an expositional, verse-by-verse study of the Gospel of Mark, examining what Jesus teaches about the nature of Christian discipleship so that they may better understand how to apply His call to follow Him in their own lives. A Tabletalk magazine subscription is an affordable gift that lasts all year. Give a gift subscription now for $23 and get the next ones for only $15 each. Offer expires 1/31/16. US & Canada only.